How To Get Your Hair Ready For Summer! You probably treat your skin with care when it comes to surviving the summer, but have you thought of giving your hair the same attention it deserves? Between the heat and humidity, the summer months can be quite tough on your tresses, especially since the sun’s harmful UV rays and the frizzing humidity definitely can wreak major havoc. Yikes! Although the summer season is surely short, it’s smart to stay prepped and prepared for anything the coming season has in store. For only the most flawless of hair days, here’s how to get your hair ready for summer fast. For UV Protection Shampoo: Just like you would care for your face and body, finding a sun protecting shampoo is equally important. Overexposure to the sun’s harmful rays can leave your strands weak and damaged, so to amp up your hair’s defenses, pick up the Back To Basics Blue Lavender Color Protect Shampoo For Treated Hair ($12.99), which offers around-the-clock protection, for healthy and vibrant hair. For Sun Shielding Conditioning: To follow up with your sun guarding shampoo, try the Its A 10 Miracle Daily Conditioner ($18.99) to pump up your ends with essential hydration, while offering UV protection your hair needs. And with other benefits to boot, there should be nothing stopping you from this multitasker all-year-round. For Some Essential Moisture: With the scorching heat at large, it’s always wise to give your overworked hair a break. Trying some heatless styles is always a plus, so if you plan on going au naturale, the Keratase Nutritive Nectar Thermique Leave In ($42.99) helps you get those natural waves, while bringing crucial hydration to your strands. 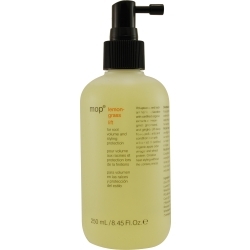 For soft and gorgeous waves, try spraying some of this product on damp hair before bedtime. After the product is evenly applied, braid your hair and awake the next morning to gorgeous strands. For Beachy Texture: Another heatless styling alternative comes beach-inspired waves heralded by beauty lovers everywhere. To get that beachy mane, spritz the Aquage Sea Salt Texture ($21.99) onto damp strands for that unbeatable texture. If you’re heading down to the beach, don’t forget to stash this beauty essential inside your beach bag. For Sun Strong Hairspray: Whether you are going heatless or perfectly styled, finish any summer styles with the Biosilk Silk Therapy Shine ($13.99), which stands tall against humidity while offering the UV protection your hair deserves. Also giving your hair dazzling shine, you don’t have to worry about dullness cramping your style. Could there be anything more depressing than fine, dull, limp hair? Ok, yeah, there can. But when you’re dealing with a head of lackluster hair, well, it’s upsetting. Frown no more though, because we’ve got the perfect boost: Lemongrass Lift by Modern Organic Products (MOP)! MOP is all about designing modern, simple solutions for the cleansing, treatment, and finishing of all hair types. To them, the products you put on your head are just as important as the products you put in your body, which is why they relay on natural, organic ingredients to provide nutrition for healthy hair and scalp, as well as protection from environmental elements. As for their Lemongrass Lift, this lightweight spray is infused with certified organic lemongrass, grapeseed, and gingko extracts. In just a spritz or two it increases root volume, without leaving behind an oily or sticky film. Plus, the scent alone can do wonders for a mood boost! Simply towel dry hair, spritz the spray on your roots and gently run it through your tresses with your fingers, then blow dry for optimal volume and styling support. Lemongrass oil is rich in antioxidants that can strengthen the hair follicles, possibly replenishing thinning or weak hair. It also contains natural antiseptics that protect the scalp and follicles from environmental elements. Gingko is known to increase circulation and Japanese researchers believe an increase in blood flow to the scalp can stimulate hair follicles. The researches conducted a study in which 50 participants washed their hair with Ginkgo Biloba shampoo and found the herb to reduce hair loss rates in participants. Blackberries are bursting with Vitamin C, which is responsible for collagen production contributing to strong hair. It’s been found that applying oils from the fruit to the scalp can add instant volume, shine, and bounce. Aside from the scent, and of course the all-natural benefits, Lemongrass Lift actually lifts away heavy pollutants. Oh, and it turns out apple cider vinegar and wheat protein, which have been infused into the spray, provide thermal protection. Seriously, who knew?! During the summer months, it’s easy to replace trips to the salon with afternoons on the beach and backyard barbeques. But just because you forgot those highlight appointments and color touch ups, doesn’t mean your hair color has to suffer. Turns out the secret to keeping your color fresh lies in removing one major ingredient from your shampoo. The culprit? Sulfate. While this little ingredient (commonly listed as sodium laureth sulfate and ammonium laureth sulfate) gives your shampoo that rich lather, it’s also responsible for stripping the color molecules from your strands more quickly. In addition to shampoo, sulfates are traditionally found in household cleaning products, and might also be to blame for excessive dryness and frizziness. Salon experts and celebrity colorists recommend reaching for a sulfate-free shampoo to help lock in color and keep hair shiny. Kerastase’s Réflection line, which includes shampoo, conditioner, hair mask and shine spray and L’Oreal’s Série Expert Vitamino Color line are sulfate-free and aimed at preserving color. So now you can spend more time outside of the salon without sacrificing fabulous hair!